Free Dinghy Sailing Taster Sessions for all ages from 10:00 – 16:00 on Sunday 12th May pre booking essential by phone on 01797 225238. The T.15 season starts again on Sunday 7th April – 10.30 – 12.30 and then fortnightly until June when it will be running every week. We are looking forward to a windy season and the ‘Rye Rebels’ defending their regional title. We are open again from 16th March for lessons, day sailors, and hire. Come along on our opening weekend and you will get a 10% discount on any lesson booked. 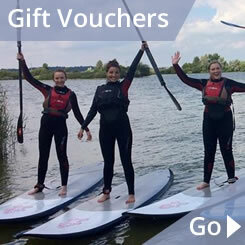 Watersports gift vouchers make a fantastic Christmas present whether for a course or cash voucher. We are now closed for the Winter but open again in March 2019 check our website in January for the exact date. Congratulations to our T15 race squad on winning the 2018 interclub championship. They have all progressed massively with their windsurfing skills over the 2018 season. Free dinghy sailing taster session on Sunday May 20th. Call 01797 225238 to book.